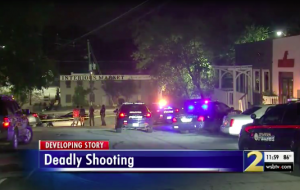 Innocent Bystander Killed in Buckhead Nightclub Shooting; Justice Available to Victim’s Family? Could this tragic Buckhead nightclub shooting have been prevented, and are justice and compensation available to the victim’s family? 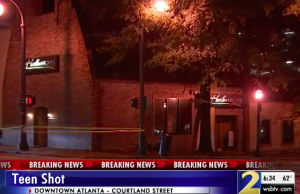 An altercation escalated into gunfire at a Buckhead nightclub Friday morning, October 5, 2018, claiming the life of a 36-year-old bystander. “You could tell they were going to get a weapon or whatever because they were talking a lot of mess. When they came back inside, they just started popping their guns, pow, pow, pow! Just crazy,” a witness told WSB-TV 2. Tragically, an innocent bystander was struck in the hail of gunfire. Was negligent security a factor in this senseless loss of life? 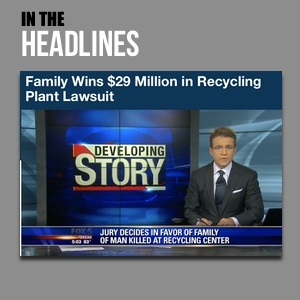 Read Our Legal Take below to find out if the victim’s family may have legal avenues for justice and claims for substantial compensation in Georgia. What security measures, such as weapons screenings, surveillance cameras, and security personnel, were in place to deter crime and protect the victim at the time of the shooting? By law, property owners in Georgia are required to protect all those legally on the premises from any foreseeable harm. Should the facts of this matter reveal that the nightclub owner failed to provide adequate security, the victim’s family may seek justice and elect to pursue legal claims for his wrongful death. 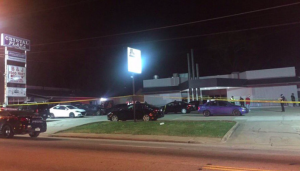 A tragic and senseless shooting outside Club Crucial in Atlanta reportedly left five innocent bystanders injured early Tuesday morning, March 15, 2016. Nightclub and parking lot patrons have a right to feel safe and secure while on the premises. The Murray Law Firm questions the level of security provided to those in the nightclub and parking lot where this senseless incident took place, and whether this shooting may have been prevented. What parking lot security measures, such as bright lighting, surveillance cameras and security patrols, were in place at the time of the shooting to protect patrons? What efforts, if any, were made to safely and separately remove all those involved in the initial dispute from the premises prior to violence? Were police called to assist in escorting the involved parties and protecting the other patrons? Generally, business owners and operators are required to protect all patrons legally on the premises from any foreseeable harm. Should the facts of this matter reveal that the owner or operator of the nightclub or parking lot failed to provide adequate security to protect those on its premises, the victims may seek justice and elect to pursue a legal claim for their injuries. Given the complexities of pursuing a negligent security case, it is imperative that the victims retain an experienced attorney who can ensure the preservation of any and all evidence that may support such a claim. Based upon its prior experience in handling security negligence claims in Georgia, The Murray Law Firm suggests that photographs and a thorough, unbiased inspection of the property will need to be performed immediately, before any evidence may be repaired, damaged or destroyed.